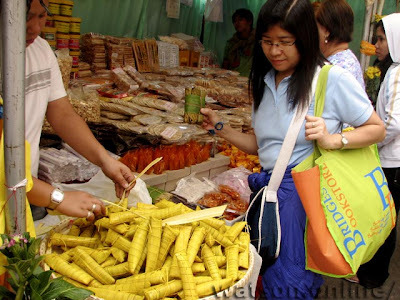 Aside from the stunningly beautiful ornamental plants and crafts that were featured in the Panagbenga (Flower Festival) in Baguio City, Philippines, food tripping was also the agenda of the day! 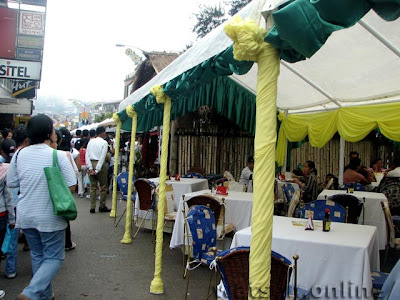 Many of the booths along Session Road offered a rich variety, from street food to gourmet delights. Rice cakes are popular food fare. Shawarma also seems to make a comeback during Panagbenga, as this can be found in abundance. 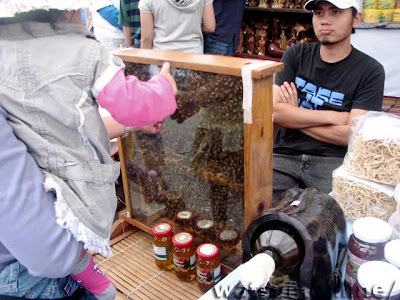 Local produce such as coffee and honey are available here. 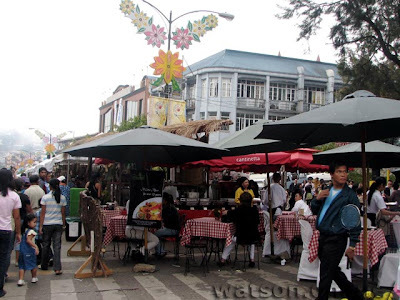 Restaurants set-up dining areas by the pedestrian lanes and along the main thoroughfare. 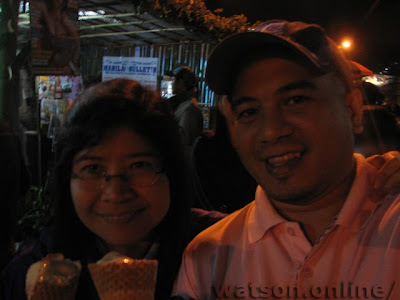 IceCream while taking a leisurely stroll in a cool Baguio evening? Why not!